Happy December! Long story short, I am back for another lippy review. I've read a number of reviews on this lippy and I thought I should give it a try too. 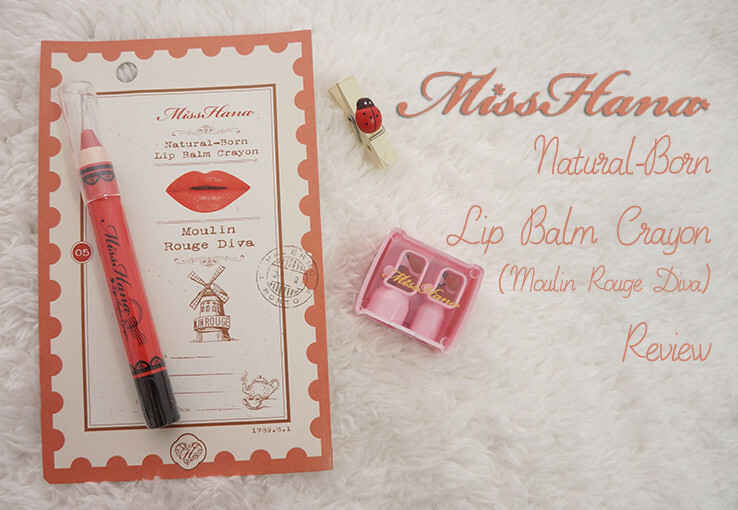 I'm presenting you Miss Hana Lip Balm Crayon, a lip balm with natural shade on the lips. Other than giving colors to the lips, the lip balm also has 4 key ingredients that are benefiting to the lips. The Aloe Vera component moistures the lips and brighten the lips. Rose Hip Oil helps to smoothen lips, reducing fine lines and wrinkles on the lips. Vitamin E can be found in the lip balm in order to repair and protect the lips from sun damage. Bee Glue is used to hydrate the lips, giving a more supple lips. 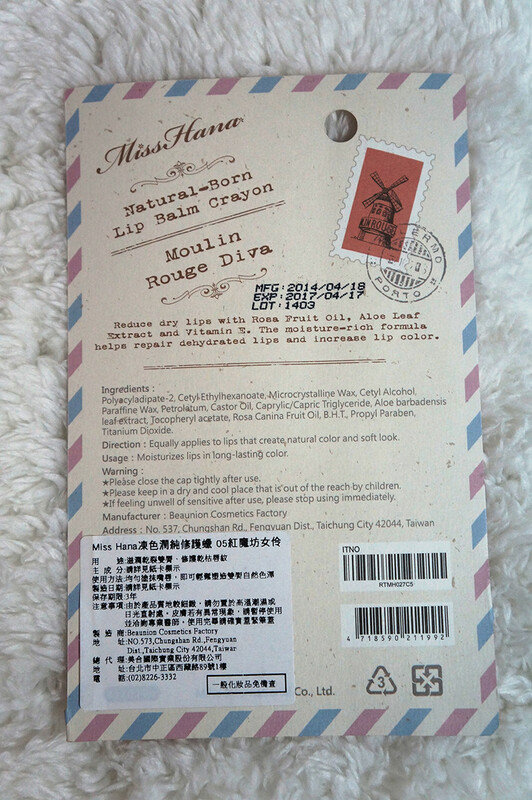 The lip crayon is packaged along with the description card. The details such as manufacturing and expiring dates are well printed on the cover. There is also a Mandarin translated description at the bottom left of the cover. I wouldn't say this is the cutest packaging I've ever seen but Miss Hana has a relatively girlish and romantic designs on the products. 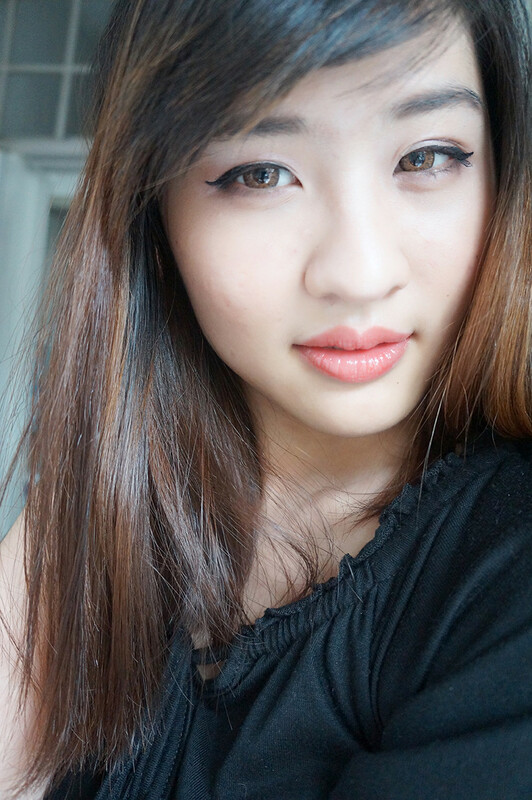 The eyeliners from Miss Hana captured my heart with its simple and lovely designs. The little lace design on the body paired nicely with Miss Hana logo and product's name, giving a simple yet elegant feel. The lip balm is designed to package like a crayon with a transparent cover on it. The first impression of it looks like a crayon and it is so convenient to bring around. Though it is in crayon form, it is non-retractable and you will need to sharpen the lip balm once the tip is dull. The lip balm glides easily on the skin and gives a glossy finish. It is a natural red shade and does not give a distinct red color on the skin. If you prefer to go for bright red lip colors, this might not suitable for you. The lip crayon is easy to glide on the lips. Though it doesn't leave a distinct shade on the lips, it gives a natural hint on the lips. I would say this is a replication of a tinted lip balm as it gives the necessary color and moisture to the lips. 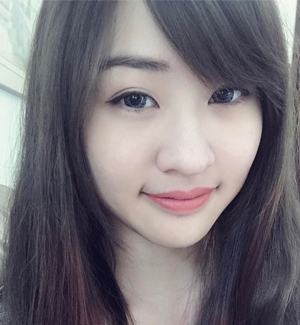 Here's an image of before and after applying the lip balm crayon. 2nd image: Lips with lip balm crayon and photo taken under room's light. Always use a cosmetic sharpener to sharpen your cosmetics in pencil form. Miss Hana has a professional sharpener which is dedicating to cosmetics in pencil form. Be it a eyeliner or lip balm pencil, this sharpener does its job well to sharpen the pencils. The sharpener is priced at RM17.90 but it has promotion now for RM15.90. The lip crayon is perfect for daily use but it is a little troublesome because it won't set on the lips after the application. The color can be wiped off easily with a piece of tissue or by drinking water. In other words, if the color was accidentally being wiped off, I will need to reapply the lip crayon for a couple of times. It is very moisturising but it is better to prep the lips ahead for better results. 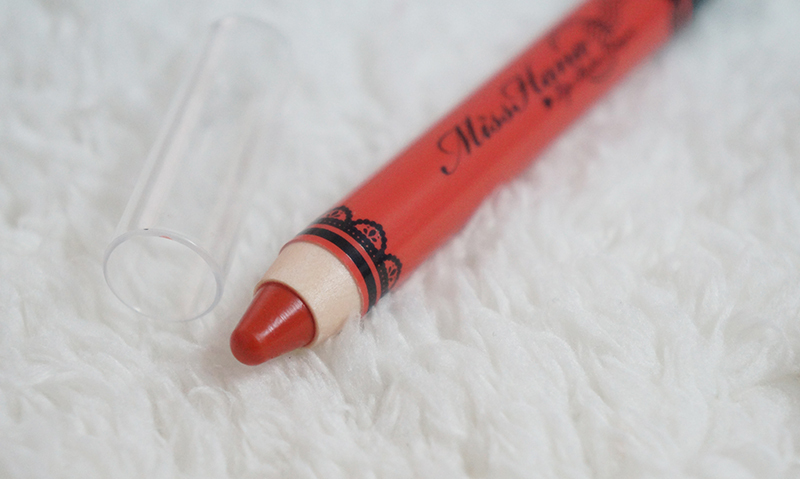 If you prefer to have a pair of lips with bold colors, this lip crayon might not suitable you. 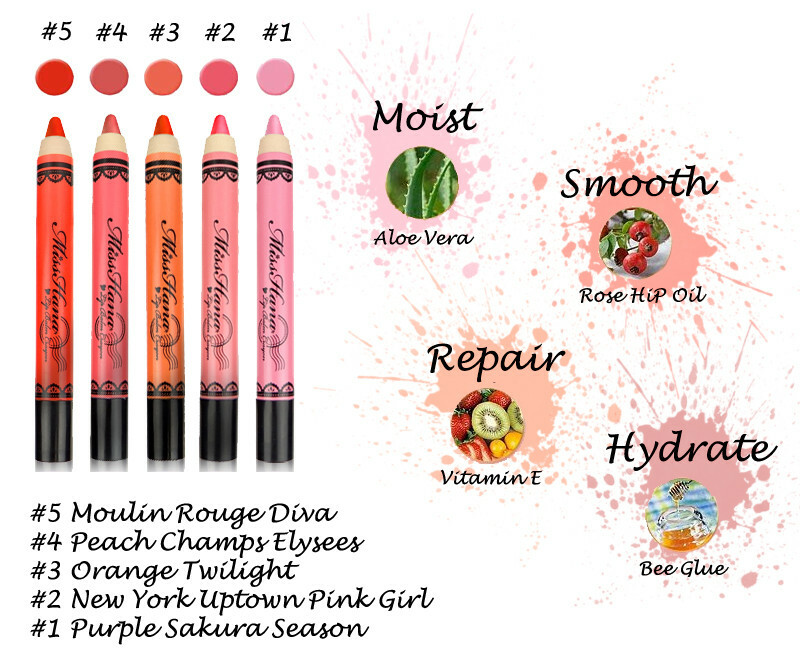 However, if you are looking for natural colors that will suit your daily makeup, lip crayons can be your saviour. Disclaimer: I bought the lip crayon from Natta Cosme and the opinions were expressed with my own user experience.